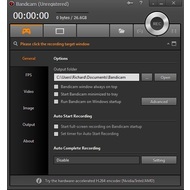 Bandicam is a popular screen recorder program. It’s easy to use for everyone. Use this app for a recording of game walkthroughs or tutorial guides. 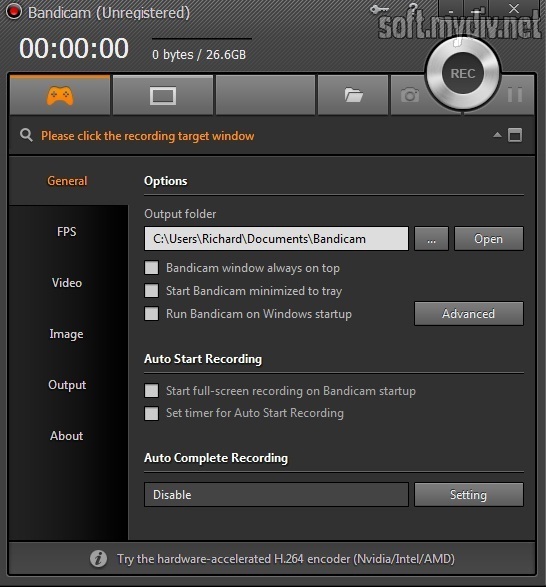 Then you can upload these videos to YouTube or another video hosting service. 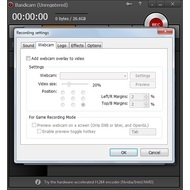 The utility has two modes – Game Recording Mode and Screen Recording Mode. Assign hotkeys for record/stop and pause to make capturing more easily. Then you can choose the first mode and launch a game. These hotkeys will help you to record a video without shutting down the game. If you want to capture your desktop screen, choose the second mode. 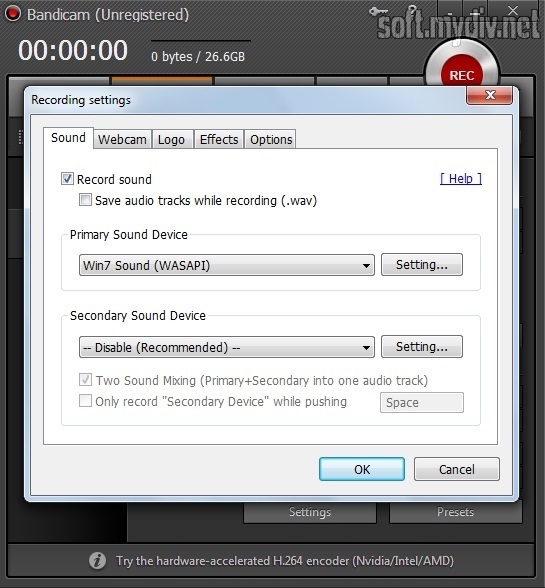 Of course, you can click on REC to start or stop recording if you won’t use hotkeys. 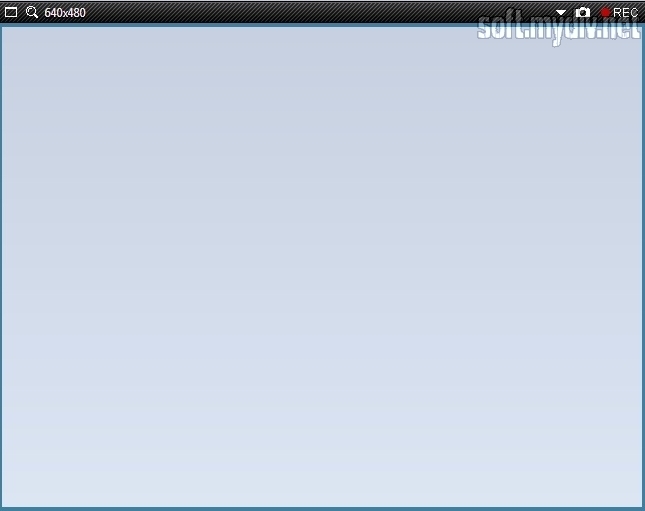 We recommend you to check a status (tray icon) of the program. Greenlight status means that a record is stopped. Red light status means that a record is going on. Gray light status is using for a record pause. 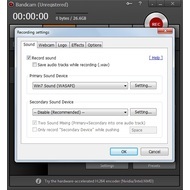 There is full-screen recording option. But you can capture only a part of the screen using Screen Recording Mode. If you want to capture images, assign a hotkey and choose a format in the Image section. If you want to change a language, select the General tab and click on Advanced button. Then switch to Language tab. There is Others tab in Advanced settings. 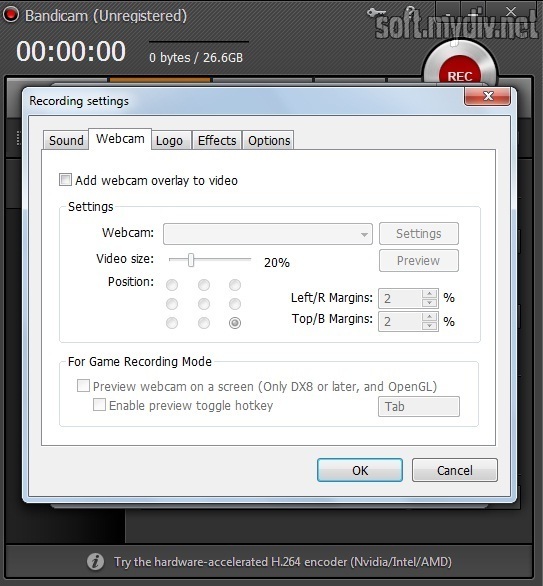 Click on it and choose Video Recording Settings to check up your primary/second audio device and webcam position. 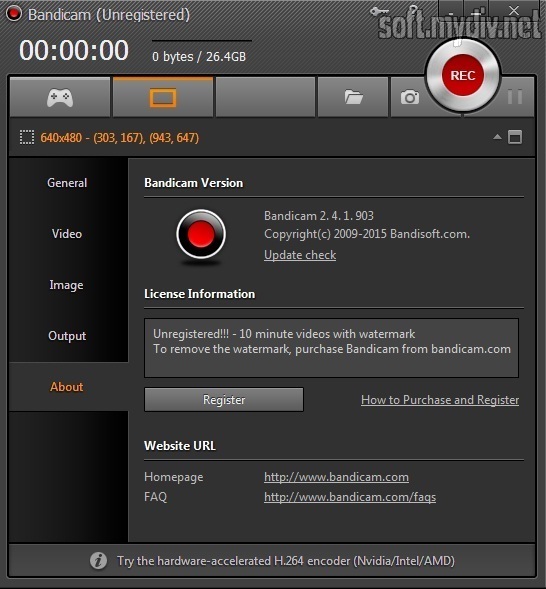 If you want to remove the watermark on your video, you need to purchase Bandicam license using 'About' section. You can switch between game and desktop mode. It doesn't take too many system resources. 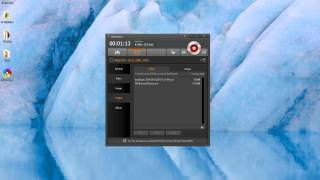 You can record only 10-minute video with a watermark. 1.4 GHz CPU or above. 800 x 600 display resolution support. Increased maximum FPS rate from 120 to 144. PC deadlock issue was fixed. Improved compatibility with Forza Horizon 3.